It’s FIGHT WEEK X 2! Chris Camozzi fights for GLORY Kickboxing Friday night at the 1STBANK Center live on UFC Fight Pass starting at 5:30pm MDT! 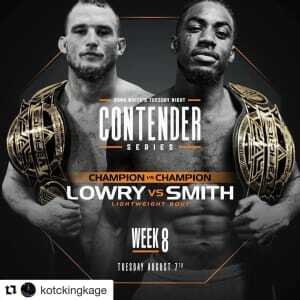 Devonte King Kage Smith fights tomorrow night on UFC #DWTNCS live on UFC Fight Pass starting at 6pm MDT!